First he danced his heart out in a jail cell to a Bruce Springsteen remix. Now, Vermont dancer Ernest “E-Knock” Phillips is busting moves in an arcade. And Burlington filmmaker Michael Fisher has been there to capture it all. As Seven Days’ Eva Sollberger documented in a May 2014 installment of “Stuck in Vermont” (below), the dancer and the filmmaker have struck up a fruitful artistic collaboration. Phillips has performed on the shows “So You Think You Can Dance” and “America’s Got Talent”; Fisher, a graduate of New York University’s Tisch School of the Arts, has made a name for himself with his stylish, evocative short films. Fisher and Phillips’ most recent collaboration, “Arcade Hero,” was shot at Pizza Putt, a family entertainment center in South Burlington, which has no shortage of the blinking lights and neon hues that look great in hi-def video. 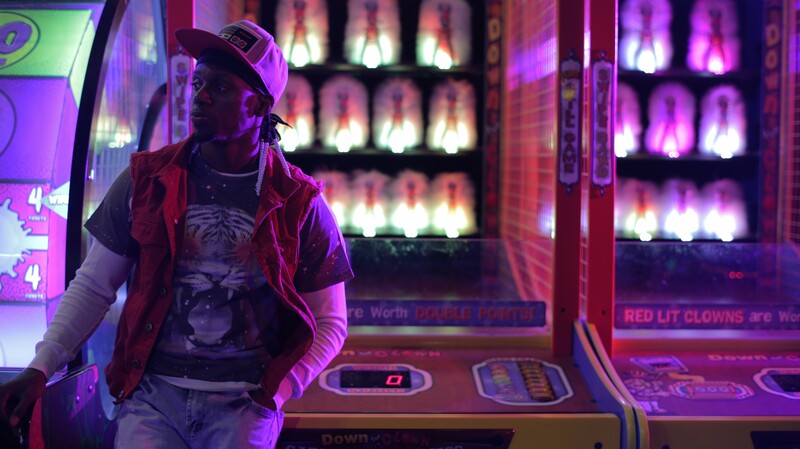 Like many of Fisher’s other short films, “Arcade Hero” is visually striking, with camera moves and edits that accentuate E-Knock’s terpsichorean talents. “[Pizza Putt] is just such an incredibly rich cinematic environment to explore,” says Fisher. 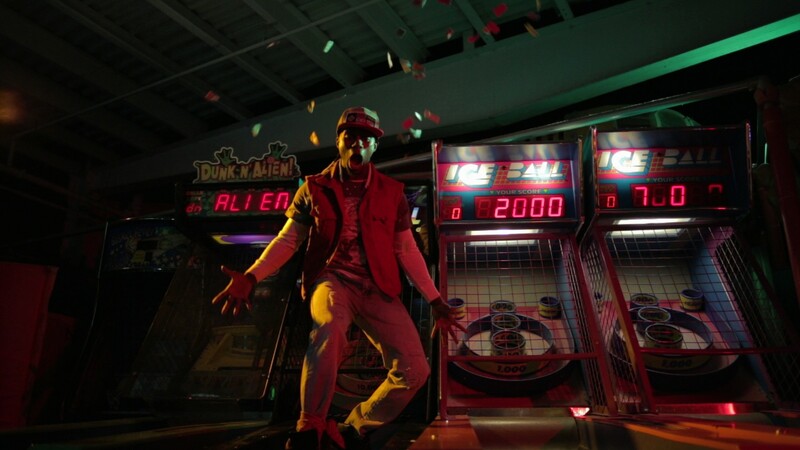 In the video, E-Knock dances to his own remix of Foreigner’s 1981 hit “Juke Box Hero,” popping, locking and gyrating his way across Skee-Ball lanes and video games while candy-colored lights flash all around him. The short film made its online debut on March 9 (watch it below), and is enjoying regular broadcasts on VCAM, which provided some of the video equipment. Fisher says that the key reference point for “Arcade Hero” is the 1984 film Footloose, a favorite film of both his and Phillips’; he also cited such evergreen inspirations as West Side Story, various Michael Jackson videos and Fatboy Slim’s “Weapon of Choice” video — you know, the one with Christopher Walken. But the chief influence on “Arcade Hero” is an unlikelier one: the “broom dance” sequence from the 1992 horror film Sleepwalkers. Fisher calls the scene “one of [his] favorite dance sequences in film,” in part because it’s so energetic and charming that it immediately inspires viewers to care about the film’s main character. E-Knock’s charisma, too, comes through in “Arcade Hero,” even if he and Fisher have slightly different approaches to depicting dance on film. E-Knock, says Fisher, is keen on displaying his “athleticism and big moves,” whereas the director is more interested in “something like a small gesture that can be powerful within the contexts of the character and the space and the beats and the music.” Perhaps it’s those differing approaches that enables the artists to collaborate so well. For his part, Fisher hopes to collaborate with E-Knock again, though he’s unsure if it will happen — mostly because the dancer is currently on tour with a company that stages live “Teenage Mutant Ninja Turtles” performances. If and when the dancer and the director find themselves stuck in Vermont, however, readers are encouraged to kick off their Sunday shoes and shake what their mamas gave them.